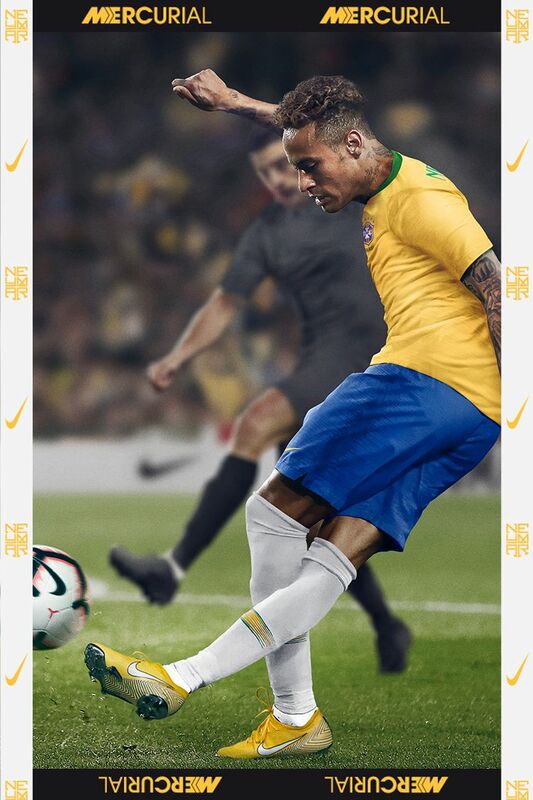 Neymar Jr's spark of talent lit up the pitch long before he stepped out under the lights in Russia. 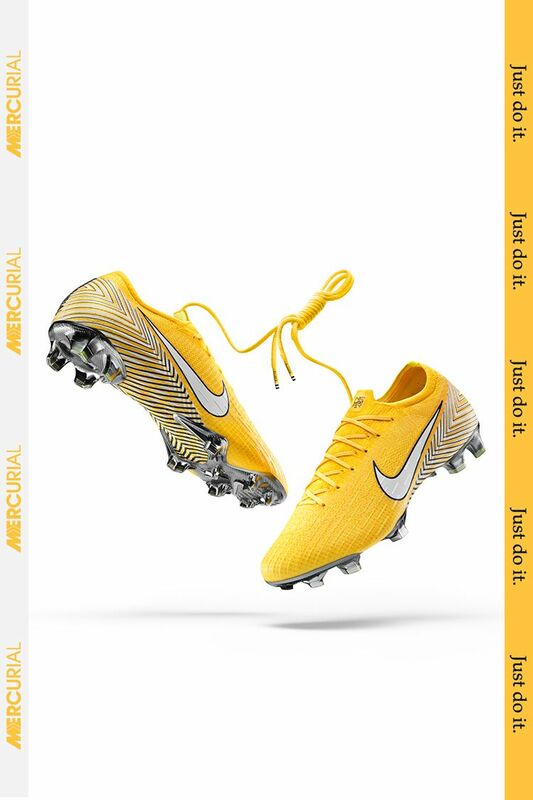 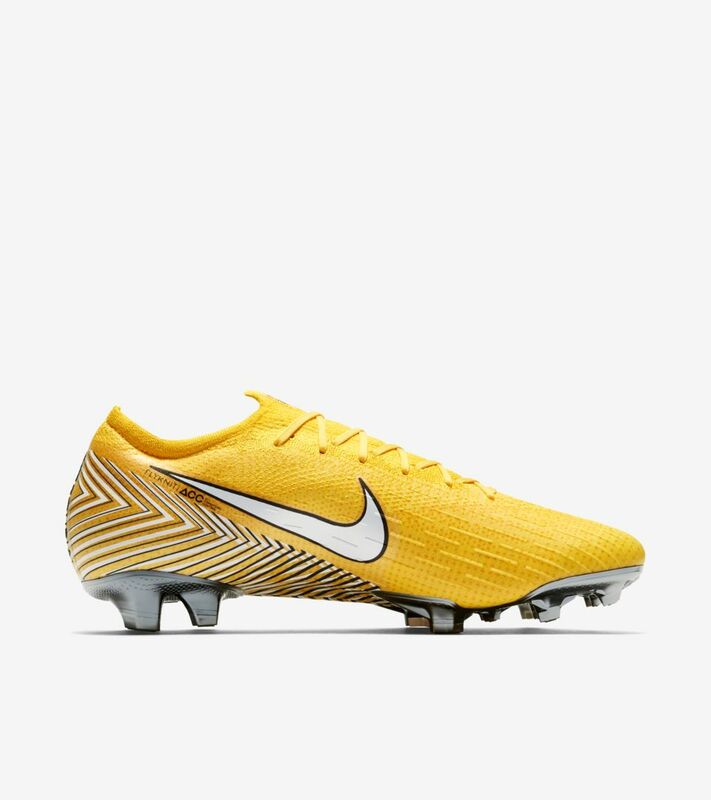 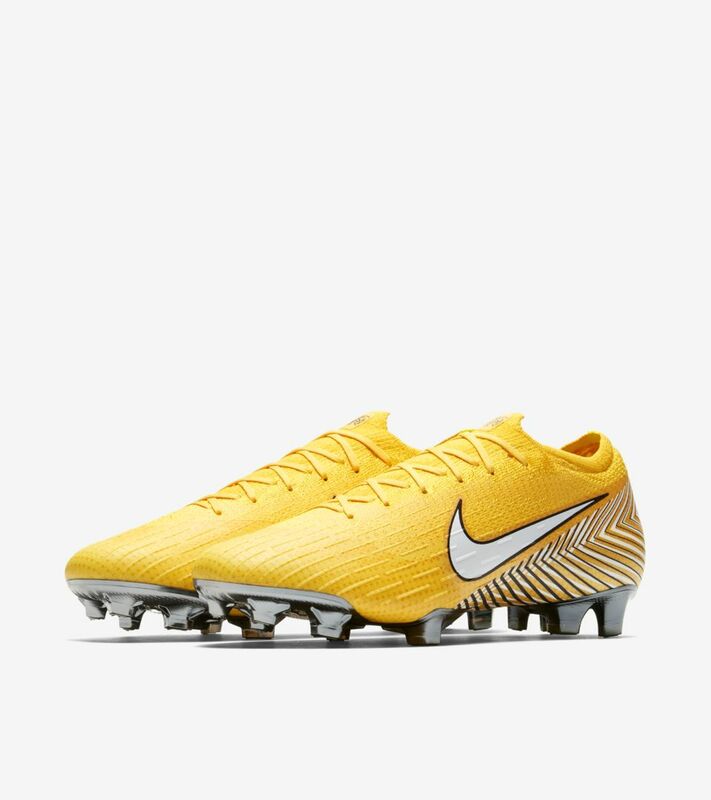 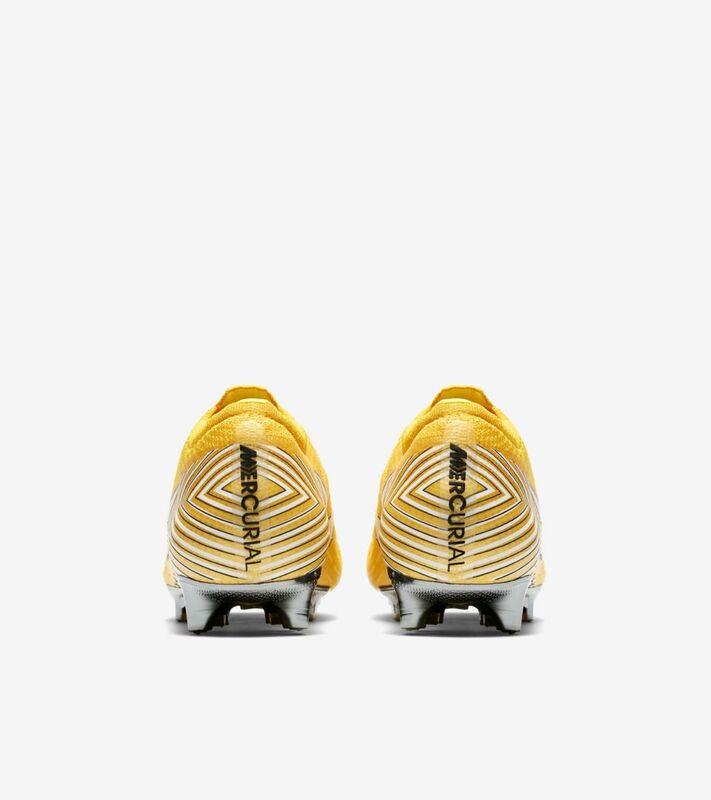 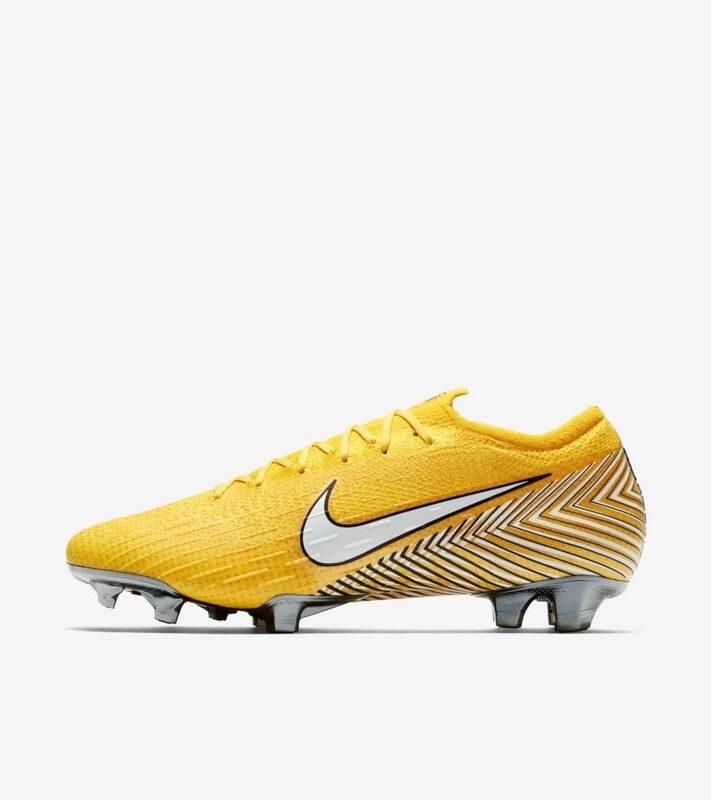 The 'Meu Jogo' Mercurial Vapor 360 commemorates his expressive style of play and the belief that brought him from his first professional club in Brazil to the highest level of football. 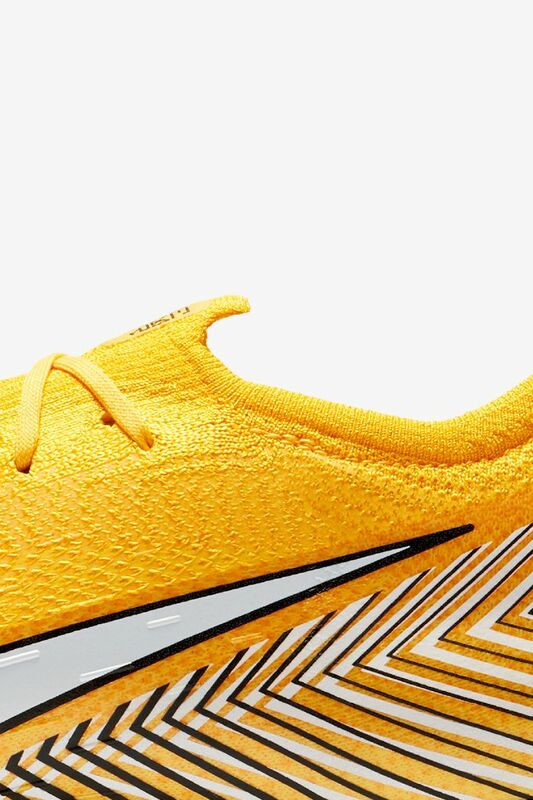 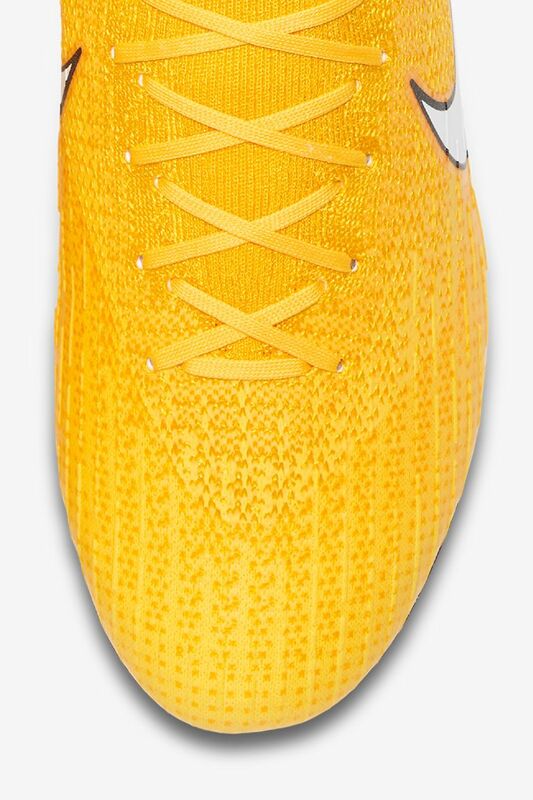 Built for speed on the Mercurial Vapor 360, Neymar's new player edition pays homage to his early roots with a Brazilian yellow upper. 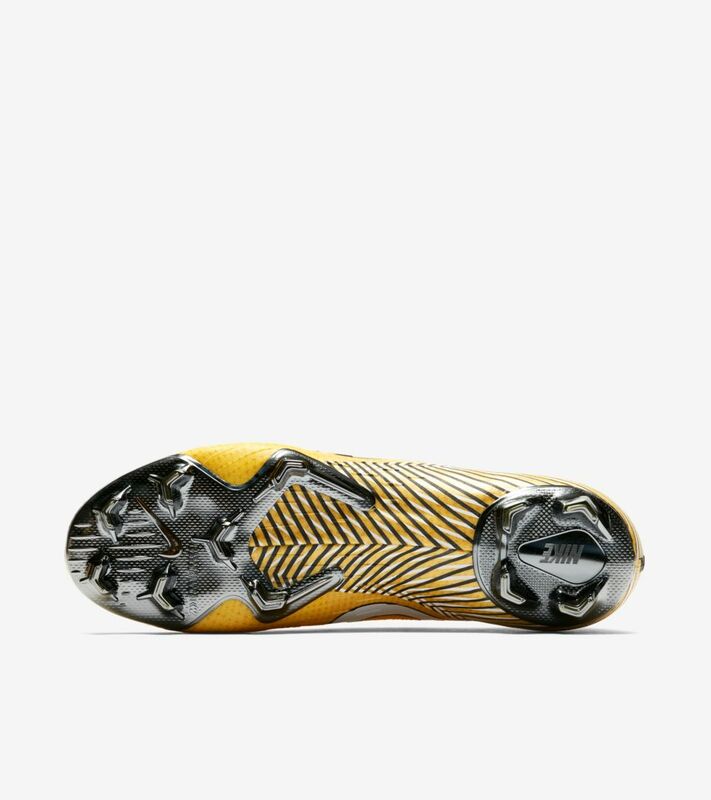 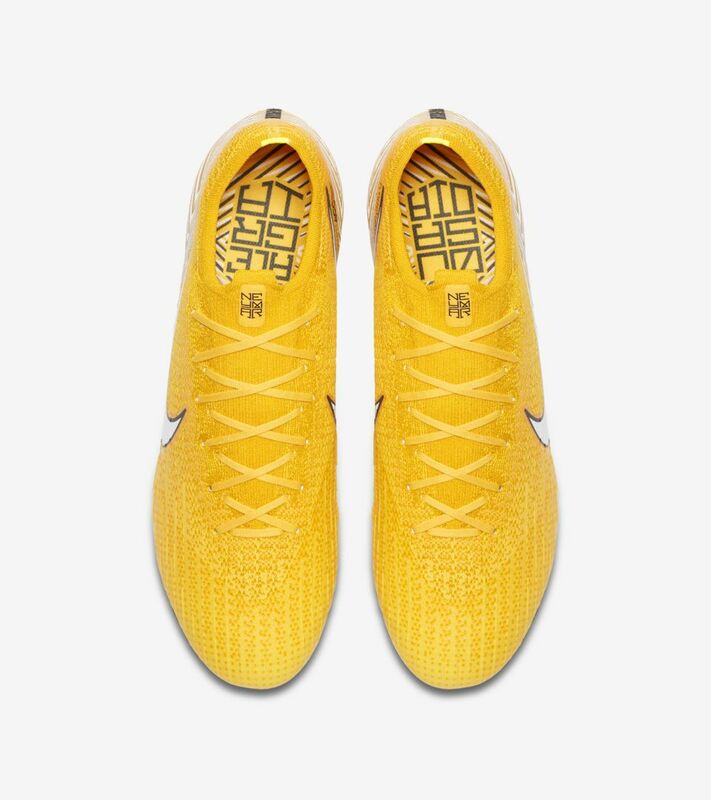 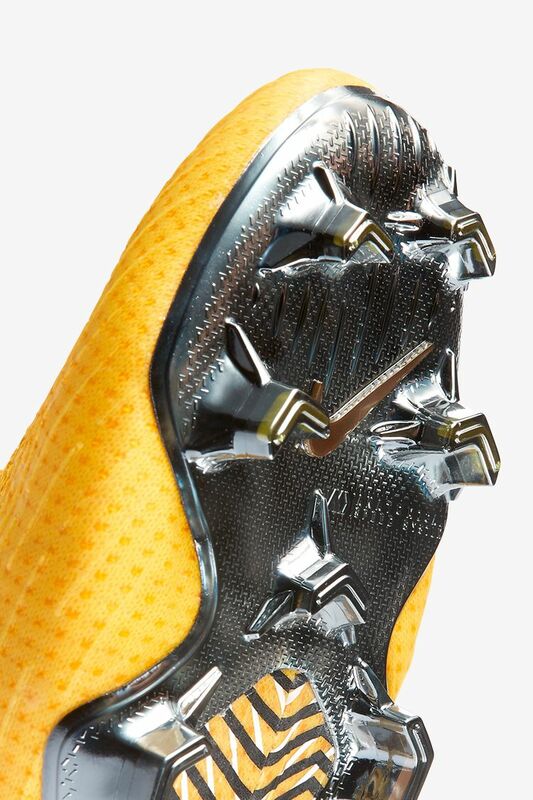 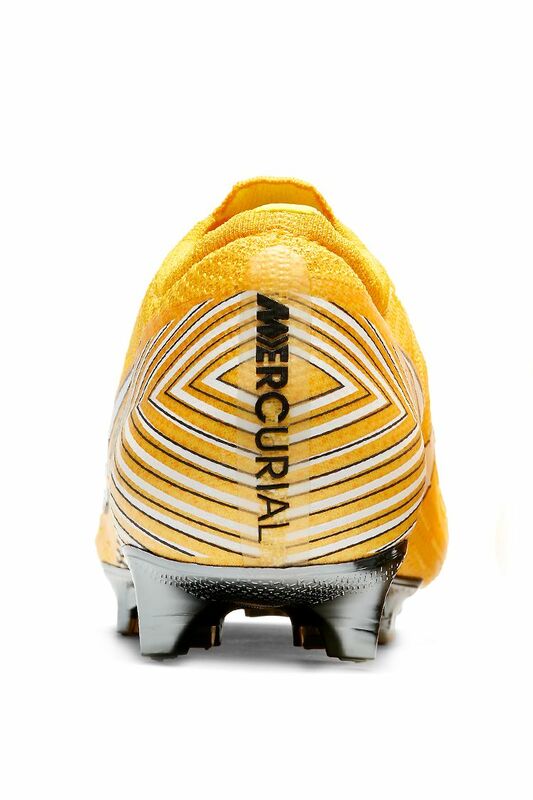 The focus of the design is a diamond pattern on the boot's heel, taken from the national flag, which radiates outwards in stripes of black and white: the home colours of Neymar's first club.